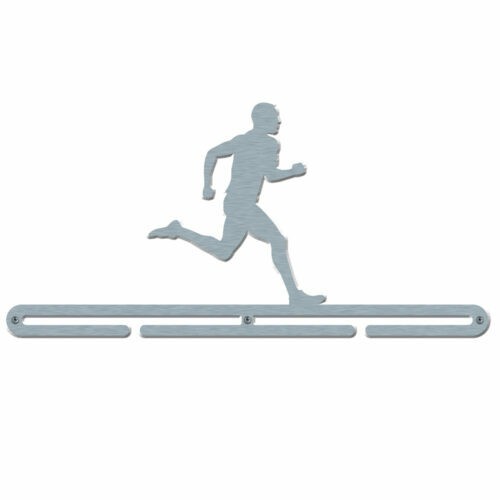 Male runner large design stainless steel medal hanger. 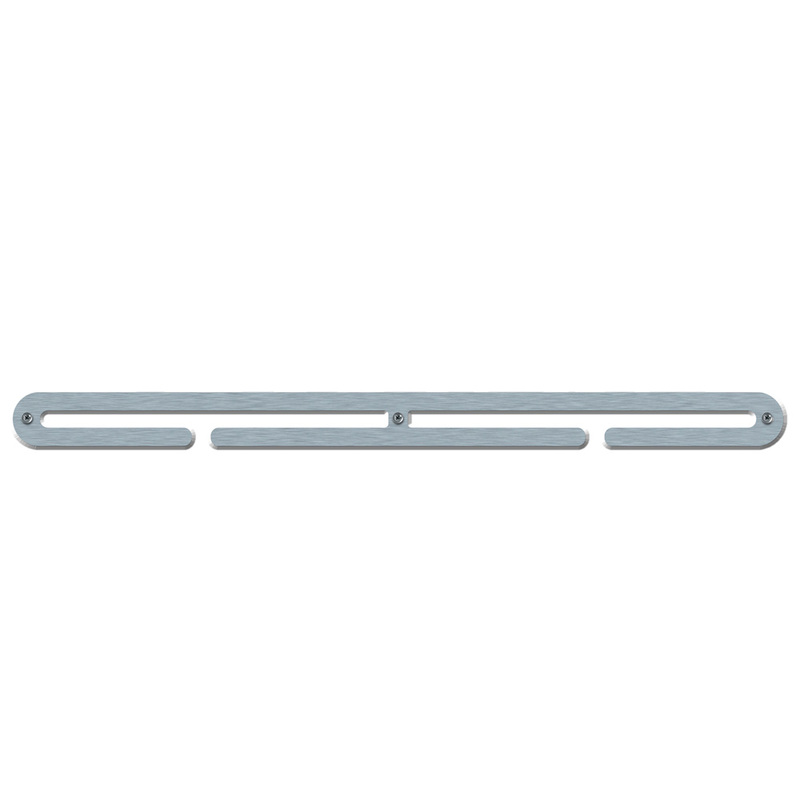 Made from 2.0mm thickness brushed stainless steel and supplied with all fixtures and fittings. The only medal display hanger needed for your running medals. This is the Usain Bolt of male runner medal hangers, large in statue, large in character. 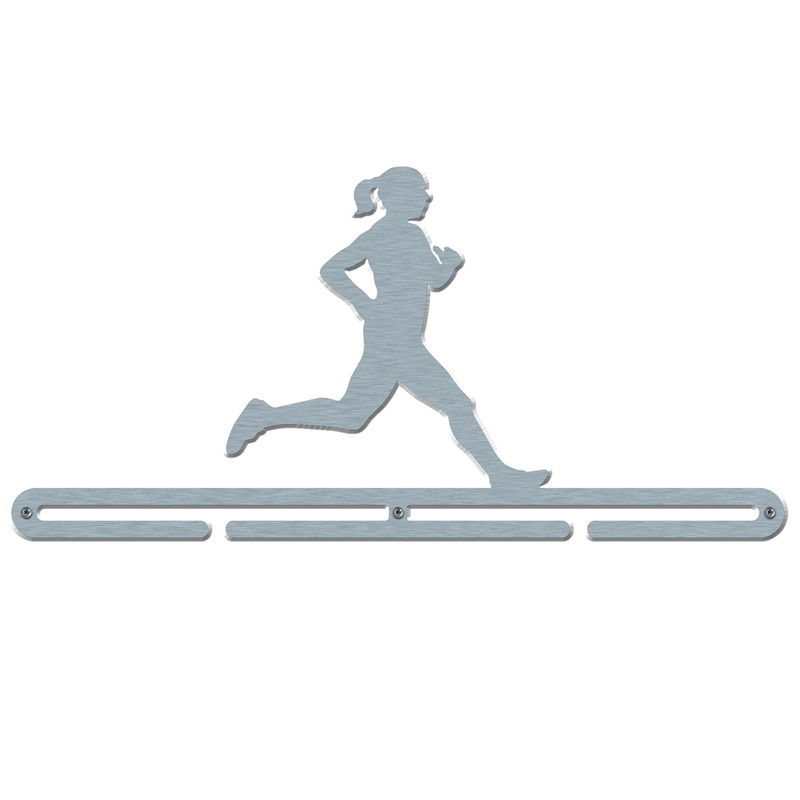 Strutting in at 21 cm tall this is a medal hanger that makes a real statement; no-one will underestimate your commitment to running once this hanger is on the wall. 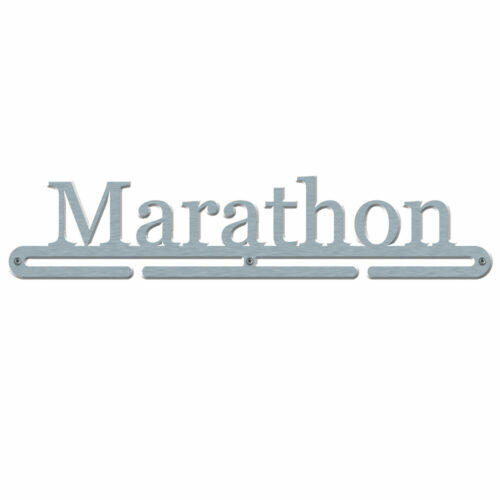 Chunky and suitable for all types of finisher’s medals, this medal hanger display has runner stamped all over it. At 2.0mm thickness, this is the medal display for the runner male with a lot of medals to hang, and plenty of wall to hang them on. You will be able to display 25-30 medals with the ribbons overlapped and, because the product is supplied with spacers, you will be able to change your display to suit your medals. New PB medal, switch it for the last PB, new favourite event, hang that medal in the centre. Brushed for a sleek, shiny finish, the runner male large medal holder is the only medal display your male runner will ever need. The male runner comes complete with all the fixtures and fittings you need to attach it to the wall. Your race medals will look striking on the wall. Bought this as a present. He loves it and I’m sure it won’t be long until it’s full and needing an extension to it!! Wonderful company to deal with, online and in person. Delivered quickly and packaged well. Bought this as a present to myself, great product! The pictures don’t do it justice. Great company to deal with, fast and efficient service. Would highly recommend.